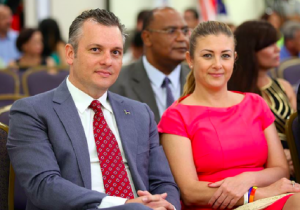 WILLEMSTAD – On Wednesday, November 16, the Court ruled on the several requests made by the defence team of the former Prime Minister of Curaçao Gerrit Schotte and his life partner Cicely van der Dijs. The defence team requested more time to investigate the case. They also requested to do hear more witnesses in the case. The defence team headed by the well-known Dutch lawyer Geert-Jan Knoops want to perform their own investigation into some of the aspects of the case dubbed Babel. The request to hear more witnesses was rejected because the importance of this has not been sufficiently demonstrated by the defence. The Court did grant Schotte’s lawyers the time for their own investigation. The case will continue in April 2017.